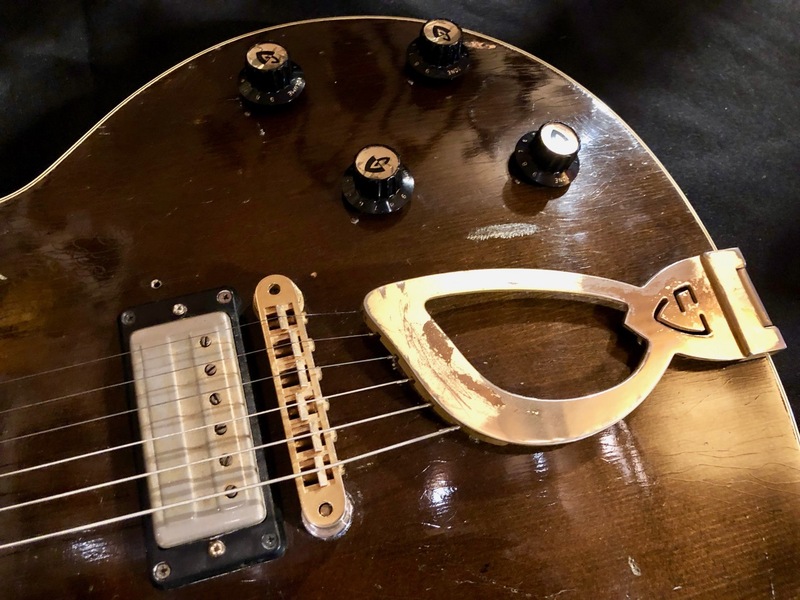 The Guild Bluesbird has long been well known as a strong alternative to the Les Paul and other similar guitars. 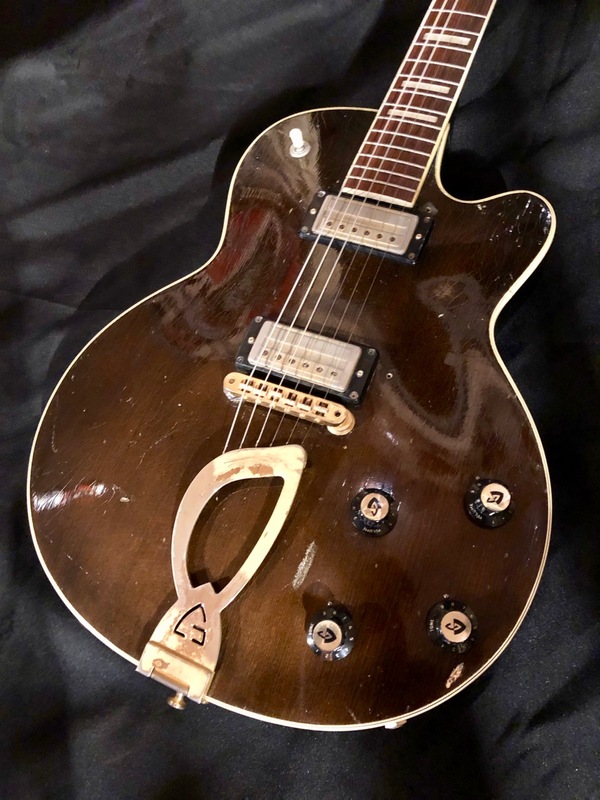 But the guitar evolved over decades, from the M-75 Aristocrat in the '50s, through several iterations to the current Bluesbirds in Guild’s Newark Street lineup. 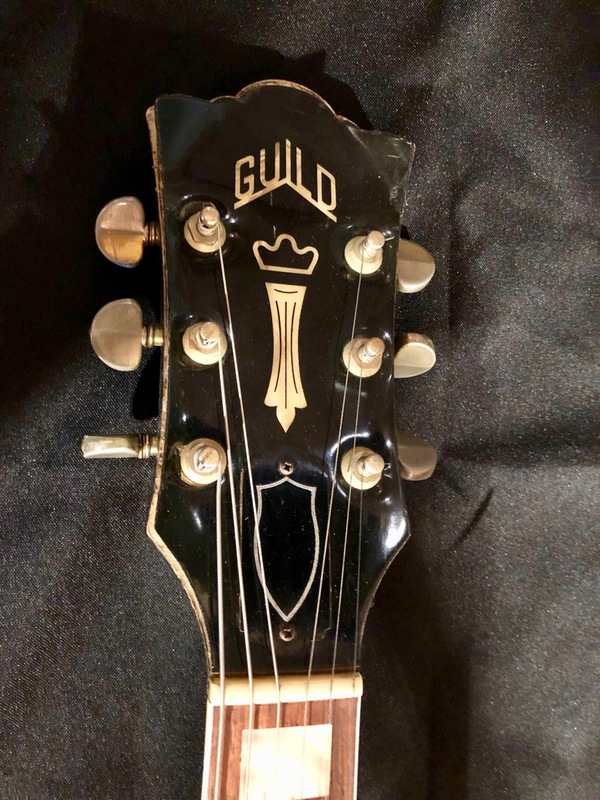 In 1967, Guild replaced the Aristocrat’s Franz P-90 style pickups with mini-humbuckers and named the guitar M-75 Bluesbird. 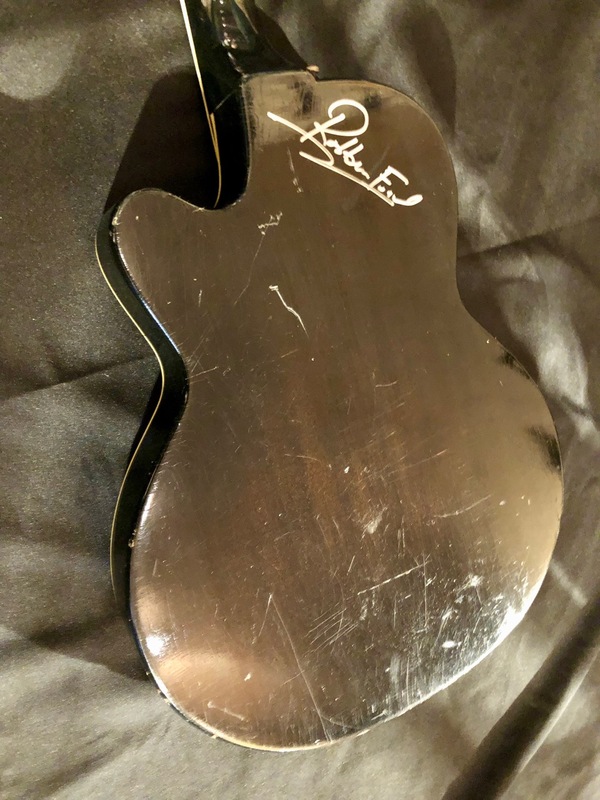 The guitar retained the hollow body of the Aristocrat. 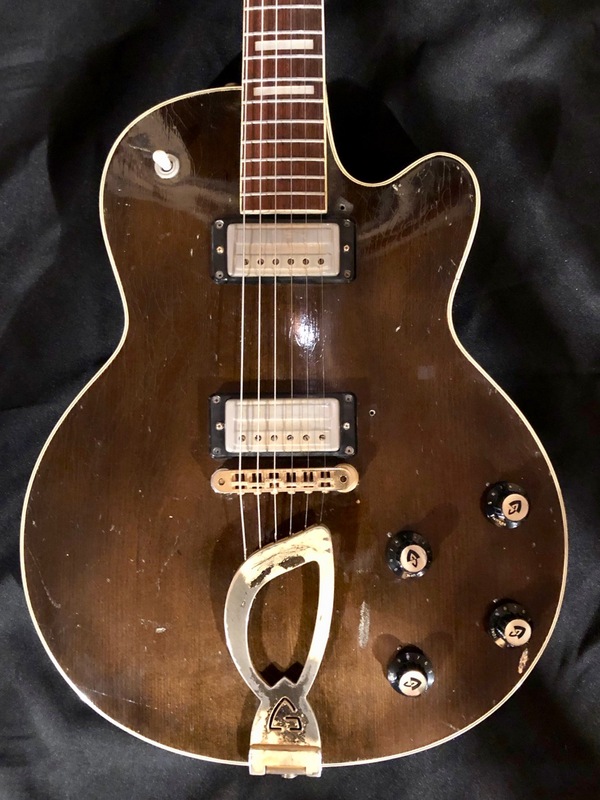 This continued for about 3 years, until in 1969 a solid-body version was introduced, along with the then-new HB-1 pickups. 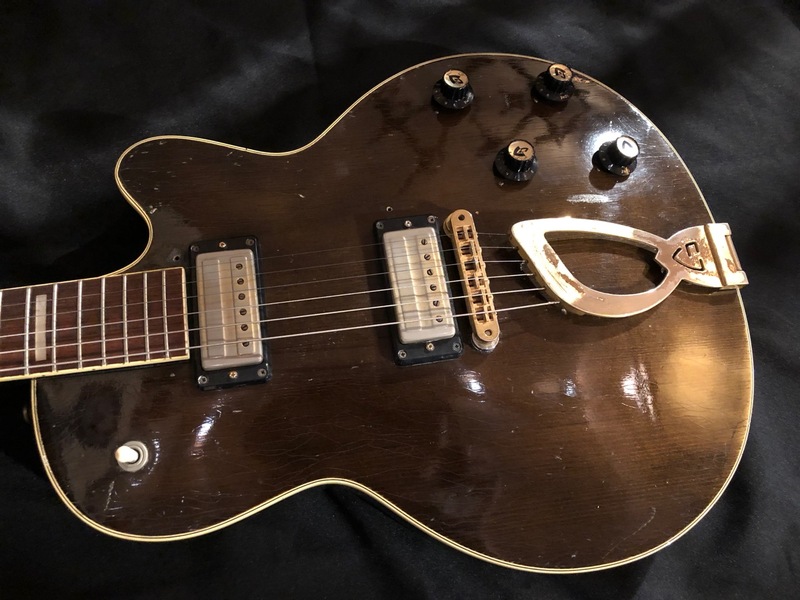 So, this is a rare, fine example of a first-generation Bluesbird. 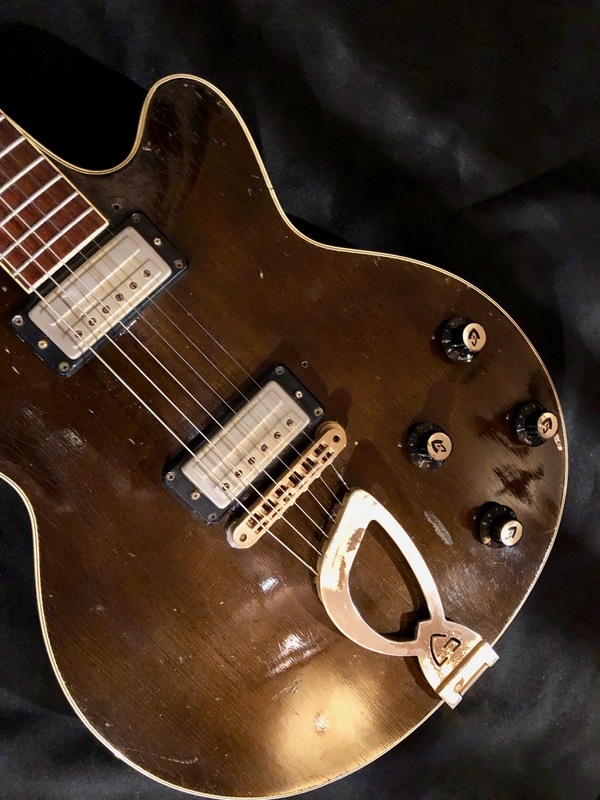 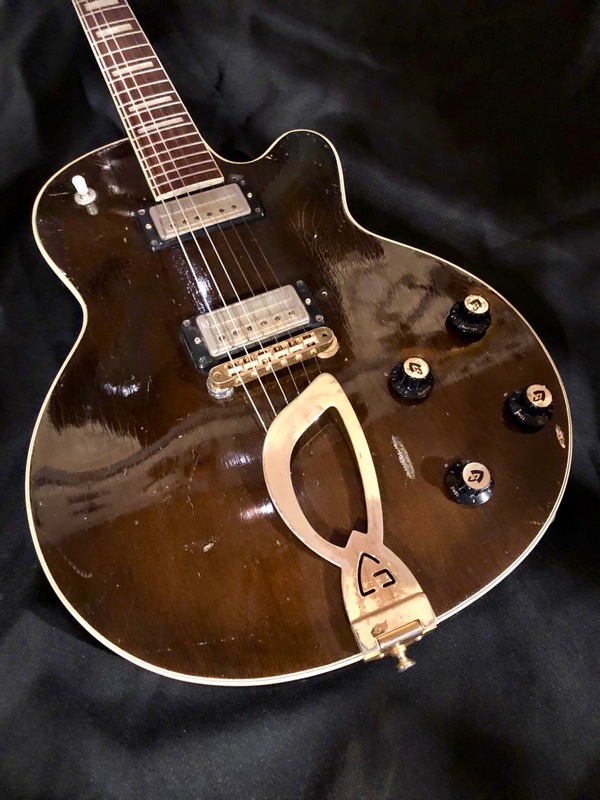 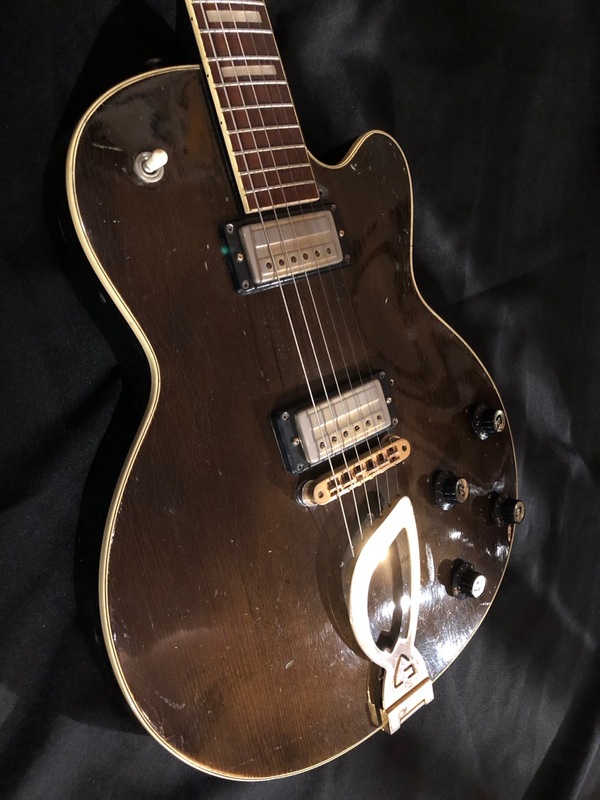 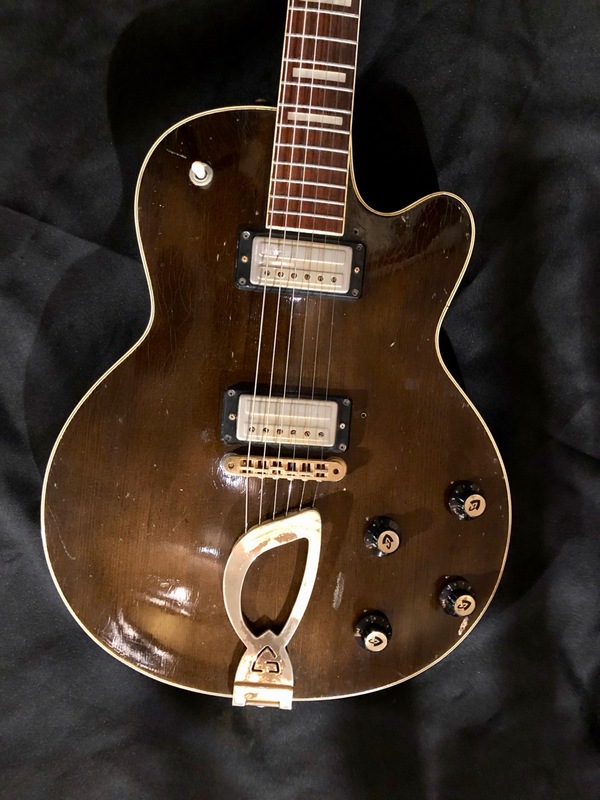 The guitar appears to be almost entirely original with the gold patent pending Grover tuners, Guild Small Humbuckers, DeArmond knobs w/ gold reflector caps, and gold "Non-Deluxe" tailpiece. 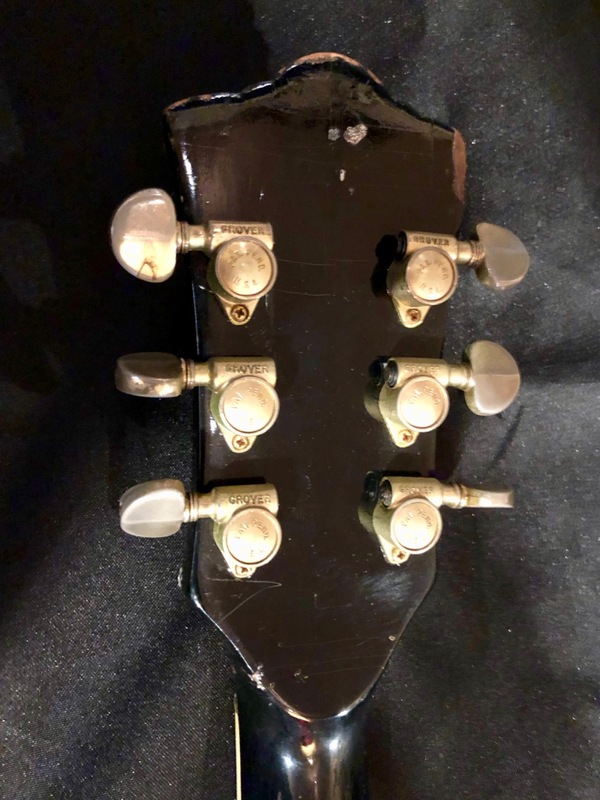 The plastic switch cap and Gibson style Tune-o-Matic bridge seem to be the only changes. 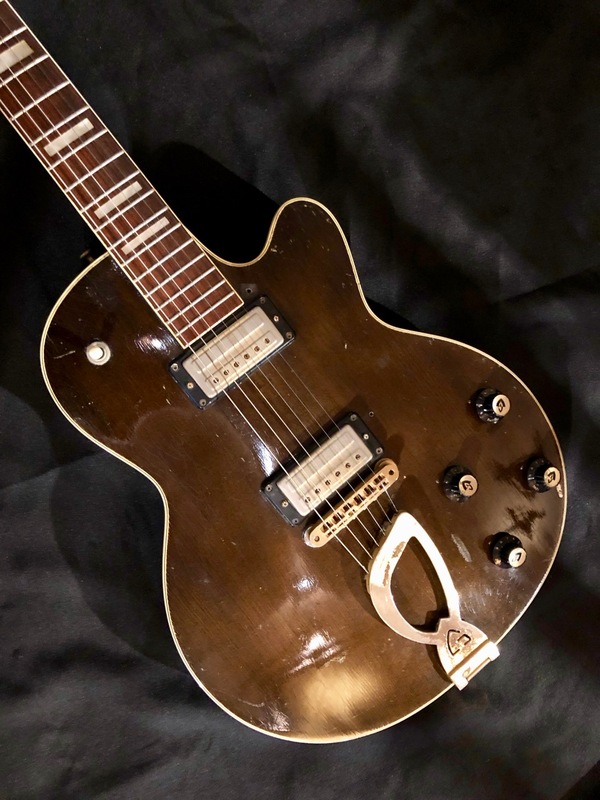 This M-75 was owned and signed by Robben Ford. 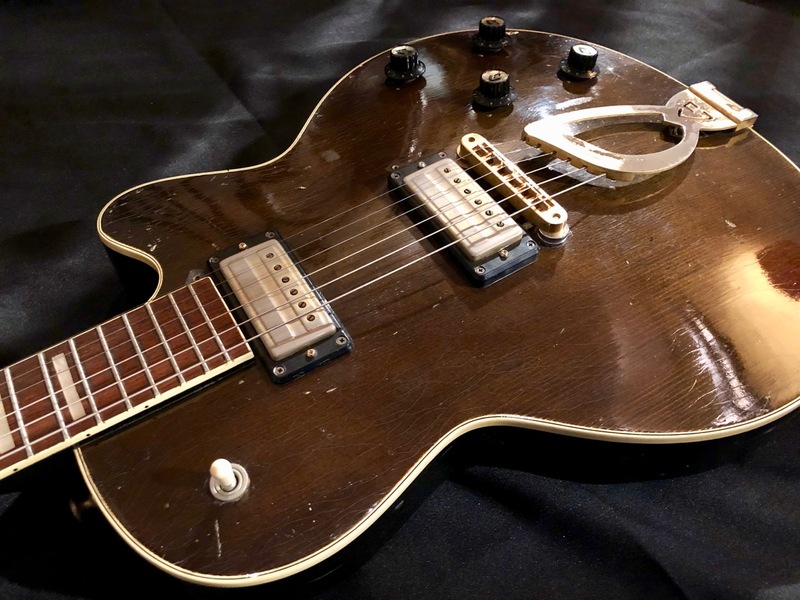 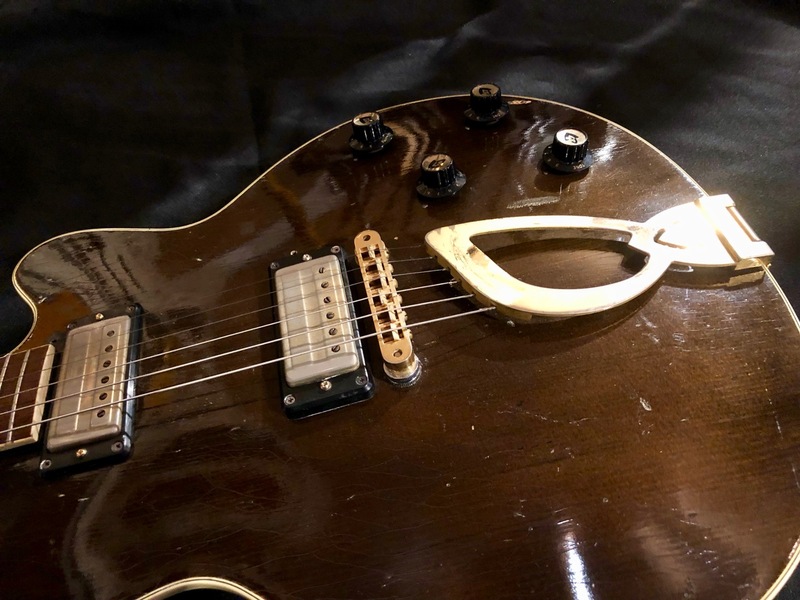 According to Robben he played this guitar on stage with George Harrison during his 1974 Dark Horse tour where he also used another similar Guild Guitar.